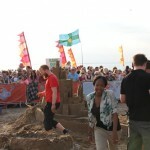 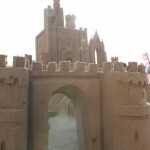 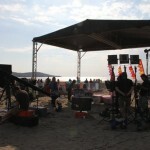 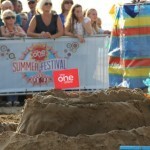 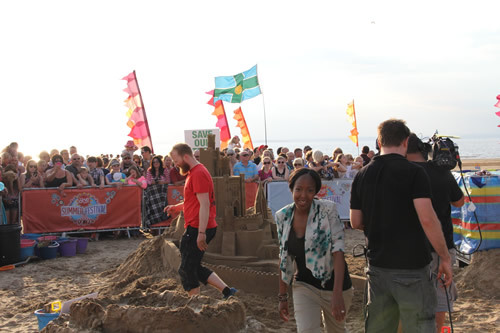 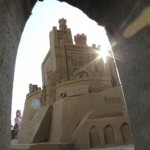 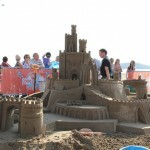 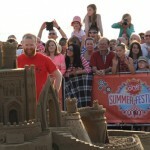 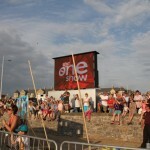 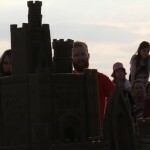 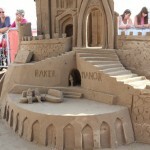 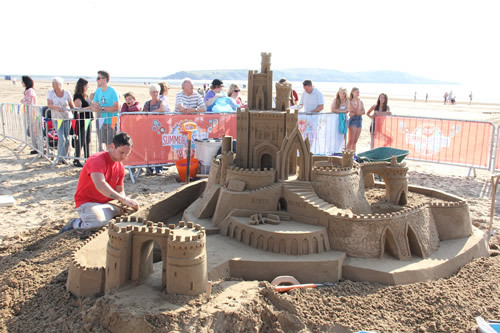 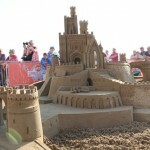 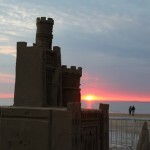 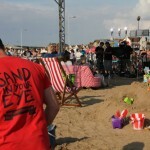 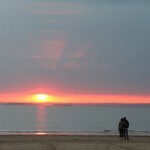 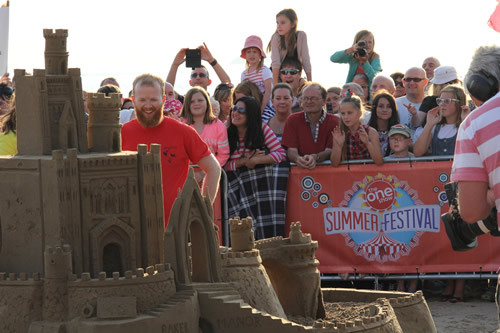 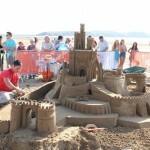 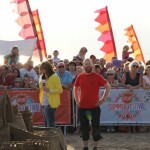 Today, Sand In Your Eye featured in The One Show Summer Festival live from Weston Super Mare to show everyone how to make a modest sand castle. 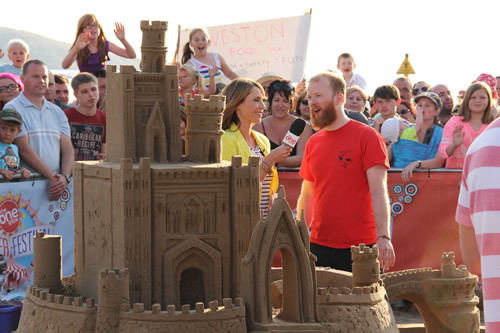 Jamie Wardley had already recorded with Marty Jopson the science of how to make a sand castle but Alex Jones and Matt Baker wanted to see it for themselves so Jamie and James Haigh spent the morning making a sand castle on the beach of Weston Super Mare to show them. 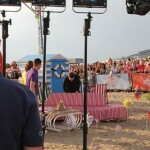 Jamie and James designed the sand castle around The One Show set and you can see Alex Jones and Matt Baker sitting on the sofa with Chris Evans lurking in the background. 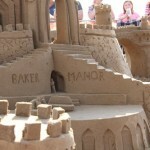 We called the sand castle Baker Manor and when interviewed by Alex, she was not pleased at all so Jamie said that “You can have the shed round the back.” This did not seem to appease her. 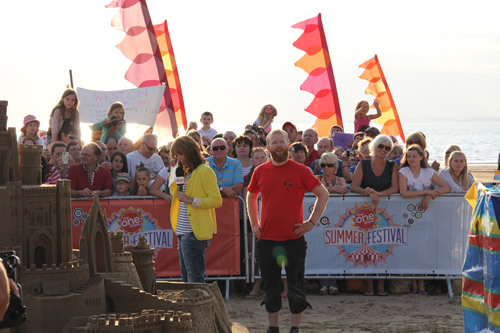 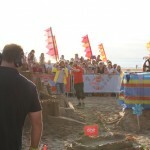 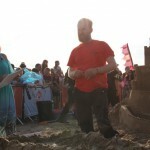 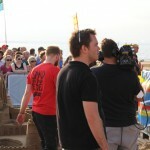 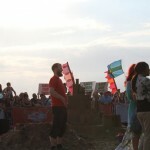 On the show Jamie related the top tips of making a sand castle which you can see on the film and initiated a sand castle competition with The One Show Family against a team of celebrities. 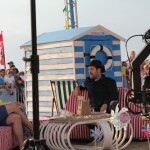 The judge of this was comedian Rhod Gilbert. 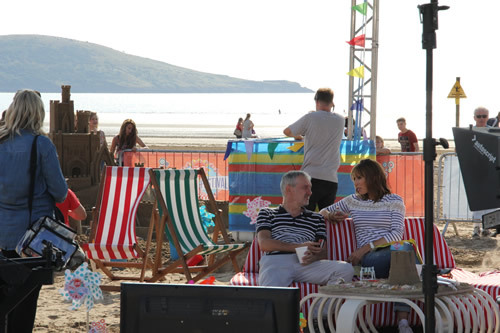 Larry Lamb also appeared on the show to talk about Bill Millin the piper on the D-Day landing beaches which lead nicely onto Alex Jones discussing The Fallen project for the first time on national television.